Let's refresh this thing before winter finally falls. 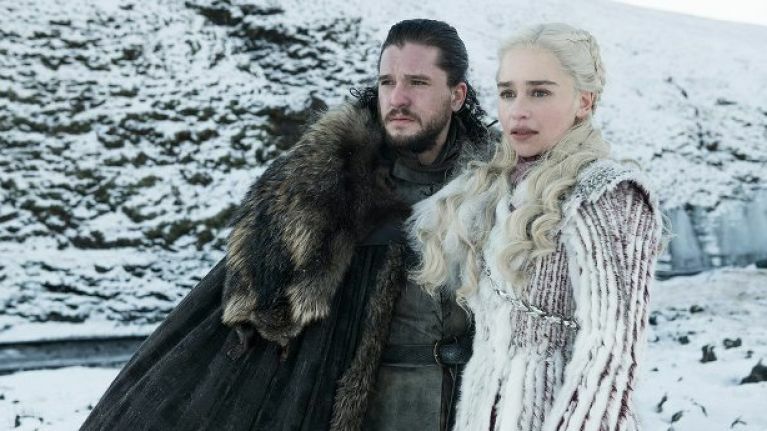 Game of Thrones season eight is just about here. A seriously in-depth deep dive on The Night King and what he wants. Cast members highlighting just how huge the action is going to be. An ominous Red Wedding-style omen for the final episodes. And a tour of Belfast's excellent new GoT exhibition. There's plenty more, but let's get down to business. Where and how can I watch season eight? The first episode of season eight will premiere in the early hours of Monday morning at 2am for Irish viewers on Sky Atlantic. The episode will be repeated on Monday night at 9pm and is also available on NOW TV. How many episodes are in the final season? Six, but several are feature-length. Is this a Netflix-type situation where all episodes are released in one go? They will air weekly until the very last one ever (sob) arrives on Monday 20 May. Okay. Who's still alive, then? Not as many as there once were, that's for sure. And several others who aren't that important. Cheers. Who died along the way, so? Littlefinger was sentenced to death by Sansa 'Lady Stark' Stark in the final episode of season seven, and was executed by Arya. The beloved Olenna Tyrell was poisoned by Jaime halfway through the season, effectively ending the Tyrell's storyline in the show. Similarly, the Sandsnakes of Dorne were killed early on by Euron Greyjoy, ending the Dorne storyline — a source of relief to us all. Ned Stark, Catelyn Stark, Robb Stark, Rickon Stark, Robert Baratheon, Stannis Baratheon, Renly Baratheon, Joffrey Baratheon, Myrcella Baratheon, Tommen Baratheon, Tywin Lannister, Shae, all of the Tyrells, all of the Martells, all of the Freys, Roose Bolton, Ramsay Snow, Osha, Thoros of Myr, Lysa Arryn, Khal Drogo, Jojen Reed and Hodor. And thankfully, Olly. Show doesn't mess around, yeah. Actually, could I get a quick season seven recap, please? And a general 'what's about to happen' plot for the new and last ever season? The army of the dead - led by the Night King and his White Walkers - have finally breached The Wall. Nobody south of The Wall knows about this yet. We still have no idea what they want, but the intel so far suggests that they want to kill everyone. An army of Northerners, Unsullied, Dothraki, two dragons, The Hound, Jorah Mormont, Jaime Lannister, Bronn, Brienne, Arya Stark, wildlings and the Night's Watch are poised to fight the dead as soon as they reach Winterfell. Further south, Cersei is planning to conquer all of Westeros while the Northerners busy themselves with the White Walkers. She told them she'd send her army north to help them but this is a lie. She will soon be joined by Euron Greyjoy, his fleet, and a team of mercenaries called the Golden Company. Elsewhere, Theon is trying to save Yara from Euron with a few dozen Ironborn. Wow, this has been really helpful. I didn't say thank you. And you'll never have to. Is that a line from Batman Begins? Man that bit was sick, wasn't it? There's hardly some kind of fantasy football-esque thing happening for Game of Thrones, is there? PSA for nerds: There’s a fantasy premier league style app for Game of Thrones out. You pick a team get points for dying, killing people, drinking wine and witty one liners. It’s at https://t.co/LrP0luXIPp sign up before the season starts tonight. Unreal. Anything else I need to know?